Obituary for LaDonna A. 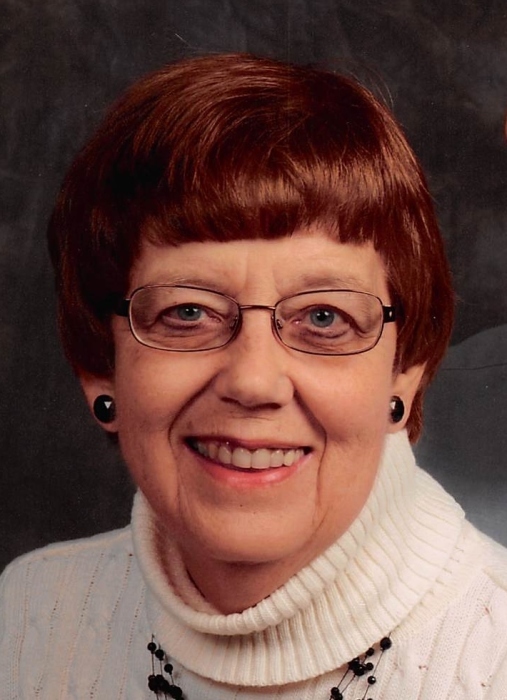 (Hilvers) Ruhe | Schaffer Funeral Home, Inc.
LaDonna Amelia Ruhe, age 76 of Ayersville, passed away on Friday, April 12, 2019 at St. Vincent Mercy Medical Center in Toledo, Ohio. She was born on August 20, 1942 to the late Leo and Lidvina (Meyer) Hilvers in Ft. Jennings, Ohio. On July 3, 1965 she married Arnold Ruhe, who resides in Ayersville. LaDonna was an active member of St. Mary Catholic Church. She volunteered in the Food Pantry, as a Eucharistic Minister, Retreat Team Member, secretary in the church office, member of the Prayer Chain, and Festival Finance Committee. LaDonna is retired from Ayersville Local Schools, where she was an assistant to the Treasurer. Her favorite pastimes were spending time with her family and attending her grandchildren's sporting events, camping, and tending to her flowers. LaDonna was a loving and caring wife, mother, and grandmother. She will be sadly missed by her family and many good friends. LaDonna is survived by her loving husband of 53 years, Arnold Ruhe of Defiance, her five children; Tony (Mary) Ruhe of Ayersville, Theresa (Kevin) Rickenberg of Defiance, Mark (Karen) Ruhe of Waterville, Dennis (Jen) Ruhe of Marion, and John (Paula) Ruhe of Maumee. She was a proud grandmother to 11 grandchildren and 5 great-grandchildren. She also leaves behind her siblings; Stella Buettner of Ottoville, Eileen (Othmar) Weis of Leipsic, Gene (Linda) Hilvers of Ft. Jennings, and Linda (Tom) Wagner of New Bavaria. She was preceded in death by her parents, and a grandson, Gabriel Ruhe. Visitation will be held from 2-8 pm on Tuesday, April 16, 2019 at Schaffer Funeral Home in Defiance, with a Rosary Service at 2:00 pm. A Mass of Christian Burial is scheduled for 11:00 am on Wednesday, April 17, 2019 at St. Mary Catholic Church, with Fr. Randy Giesige officiating. Burial will follow the service at Riverside Cemetery. Memorials are suggested to St. Mary Food Pantry, or to a charity of the donor's choice.